Flocked motifs of Gentleman's things shown in pink and black. The design is printed on a soft and very tactile pastethewall paper using high quality inks luxuriant flocks fabulous glitters and lustrous micas. Please request a sample. All crisp white with paraphernalia sculpted in silver effect and deep black flock. 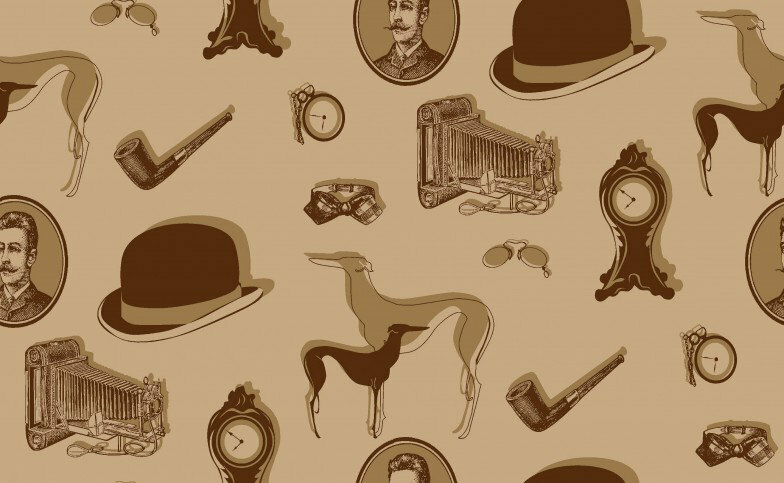 The design is printed on a soft and very tactile pastethewall paper using high quality inks luxuriant flocks fabulous glitters and lustrous micas. Please request a sample. Never brown in town but de riguer for a weekend at the country pile. The design is printed on a soft and very tactile pastethewall paper using high quality inks luxuriant flocks fabulous glitters and lustrous micas. Please request a sample. 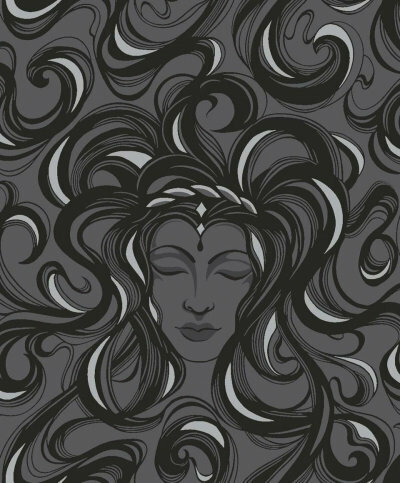 A beautiful detailed image of a Medusa like figure in rich velvet touch flock ebony black flock on a matt black background with silver detail. Paste the wall. Please request sample for true colour match.